Levi Tiechtel's Bday, Volunteer Appreciation & More! Students Sinai Scholars Bakeoff, Jewish U Episode 3, and an ASJew Bris! You've reached the beginning of Levi Tiechtel's Bday, Volunteer Appreciation & More! You've finished Levi Tiechtel's Bday, Volunteer Appreciation & More! Shabbat with Chabad of Stonybrook! Purim Party Around the World! Want To Study About Judaism? 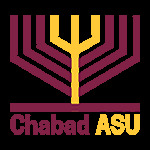 ASU Mayanot Birthright Israel Trip! Sinai Scholars Bakeoff, Jewish U Episode 3, and an ASJew Bris!